Reigning Super League champions Inkd, Dailight, and CharmAway of the Chicago Force discuss their thoughts and concerns going into the league's fourth season. As the fourth season of the Super League kicks off, we caught up with Inkd, Dailight, and CharmAway of defending champions Chicago Force as they prepare to fight for another championship. Chicago has yet to lose a single season of Super League, claiming victory in the first three seasons. All eyes are on Chicago going into this season of Super League, so they’ll be feeling the pressure more than any other team in the competition. We asked them how that feels. 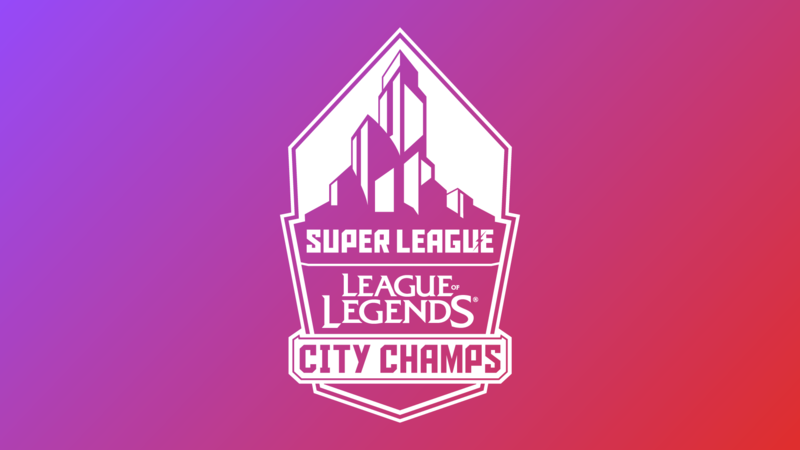 Super League's League of Legends City Champs Grandfinals begin on Wednesday, December 12 at 10:00 pm ET. Catch all the action over at Twitch.com/Superleague. What do you expect from this season and maybe from tonight? CharmAway: I expect that this season will be much more competitive, because more than ever the other cities are out for blood. They’re really trying to take us down. I feel like last season they were trying to take down the Chicago Force, but sort of as a meme, and this season they’re like “No, we’re gonna do it”. So, I feel like it’s going to be really competitive and really fun, and I feel like we’re going to have to try really, really hard to get that win again. Can you talk about your journey with the Super League, and what you’re doing today? Inkd: So, Super League is something I initially heard about back in season one. I decided I’d try and sign up. The entire experience was amazing, even though it was vastly different than it is today, with the qualifiers being online and having a little less players for the teams. My journey was so great for the first season that I decided to come back for the fourth. I was actually away living in different parts of the country during season two and three, so I figured I’d give it a go now that I’m back in Chicago for season four. Dailight: I’ve been here every season so far, I heard about it through the [League of Legends] client back in season one and I told my wife that I really wanted to try it out. I missed being on a team, in high school and college I was always on teams, and I wanted to do that again. When I got picked, we were sitting down for dinner and I freaked out, I couldn’t believe it. So yeah, came in season one and I’ve been here every season, and if you want to know more about that you can check out my blog post on superleague.com. CharmAway: I’ve been playing League for about 4/5 years and it started out as a hobby. I really got into the competitive aspect, mainly by watching esports and watching my favorite teams play. That’s actually how I got to know about Super League, because I saw an ad on the LCS stream. I was like hey, that’s cool, and it’s in my city, so I looked it up online and I enrolled, and I did better than I expected to. Back then I wasn’t really playing seriously, I was just playing for fun. Now I’ve started trying harder, trying to get better mechanically and just up my skills, and it’s cool. I think I’ve made a little bit of progress. But yeah, I’ve really gotten better as a player. To give you an idea, last season when I signed up and did my qualifiers, I was Gold 4, then after the season I was Gold 2/1, and then I made it all the way up to Plat 1, so, yeah, I’ve improved a lot. Talk to me about meeting strangers for the first time and having them as your allies. Inkd: For me, meeting strangers is something I’m used to, I’m a hairdresser and I have the public in my chair every day, so talking to someone and getting to know them is very easy for me. Some people don’t work in fields that are very social or public, maybe working behind a desk or in an office, so the chance to socialize with people who have the same mindset and have the same interests make it a lot easier to meet new people. Dailight: it’s awesome when I get to see familiar faces like Inkd and everybody here, but it’s even better when I see new people. I was just out in the lobby walking around introducing myself, because these are the people we want to have a great experience with and to be a part of our community. Some of them don’t have championships yet, so we gotta dole them out to them too. CharmAway: in my experience I’ve immediately clicked with my teammates. It’s not like we don’t have our challenges and we don’t have different ways of playing the game that we have to overcome. So, when you’re playing with a team, getting to know your teammates is actually part of the fun. It’s not like you don’t have your challenges but, if you sit down and talk about how you like to play, and your playstyle, there’s always a way you can make it work and make everybody happy. In my experience we’ve always gotten along, and it’s been really cool. When you have those great games it’s worth the moments of stress and worth the practice. Who are some of your League of Legends pro player heroes? Inkd: The only player I’ve ever really liked is Fenix, back when he was on Team Liquid. I remember he made a 3v1 play under the bot tower as Azir, and I thought he was an amazing player. That was probably two or three years ago now, but I’ve followed him since then. Dailight: Besides Inkd? And Kankin? They’re not pro yet. I guess I don’t have one, and the reason isn’t because I don’t want to have one, it’s just that then I’m holding myself to a standard and I’d be disappointed when I don’t get there. My favorite pro players have been the teams that have won championships the past few years, all the Chicago Force are my favorite. CharmAway: I’ve actually learned a lot from non-pro streamers. I’m a huge fan of Gosu, I would watch his stream a lot to get to know more about the ADC role. I really like Sneaky’s stream, just for entertainment. You can’t beat Sneaky and I like his playstyle too, I think he’s one of the more underrated players even though his stream is definitely not underrated. And I would probably say Bjergsen, and maybe some Korean players, like Uzi. Some of those are my favs. CharmAway: Yeah, and everyone’s like “Oh, he’s washed up” just because SKT didn’t do really well this year. But no, Faker is never gonna be washed up, the man’s like... He’s god incarnate. Watching him play is pretty cool. What advice can you give to anyone wanting to play in Super League? CharmAway: Super League is super worth it and I think that everyone here at Chicago Force would agree. It’s totally worth it. The advice I would give to new players coming in is just try your best. Playing in a theatre can be stressful and you’re never going to play your best. And you’re never going to play your best in qualifiers, if you’re anything like me you’re going to get stressed about it and beat yourself up. But, the cool thing about being in this competitive environment is everyone is helping you improve and will pick you up when you’re low, and everyone is just improving. So, it’s a really positive environment and I am a testament to the fact that if you start to get into it and start to try harder, you can get better. For me, Super League was a huge part in getting better as a player, even though it was just a little better. Inkd: if you’re just starting with Super League, use your teammates. That’s what they’re there for. Whether you’re trying to get better as a player individually or you’re trying to do the best for your city, don’t be afraid to talk to your teammates, everyone is here for the same goal. Dailight: Do it! It’s a great experience. You get the feel of being a professional player without all the stress that comes with that. It’s just a fun time and we’re an awesome community, so come join us. You get the feel of being a professional player without all the stress that comes with that. What’s your most memorable moment from Super League? Dailight: I wanna say season one, when team L won, because it was that one point. I know it’s not a memory that I was a part of because I wasn’t in the game, but to see the excitement from everybody for these 5 people, that was cool that they got to experience that. Inkd: Season one was a great year for team A, minus the last game. We had won every single game in the season except our very last one which ended up tying us with the team we were playing against, Seattle. So, it was tied because our A team dropped the ball, and it was our L team, the very bottom team, the team that might feel they don’t matter the most, it ended up coming down to them. Just to show how important every team is, our team won in a very dramatic fashion, it was an amazing experience. Last season there was a lot of talk about Chicago being cocky coming into season three, that you guys had the best ping, that kind of thing. There hasn’t been that this season, do you think that’s because you’re now proven? Inkd: I think the player base has realized that statistically Chicago has the best player base just from the number of players that we have. Ping really doesn’t matter despite what people say, unless you’re a high challenger player who has extremely high apm and you need every click to count. In season two, when Chicago won again, that’s when more cities were introduced. So naturally, you’re going to have more haters, so when season three rolled around and Chicago was cocky, we’d already done it for two years, now that it’s season four and we’ve won three times, I think there’s less pressure on Chicago. That’s really where the arrogance stemmed from, there was pressure on us, so we wanted to put on a façade that we knew we were going to win. Dailight: Yeah, got real quiet in here didn’t it. I think it’s because, after you win so consistently, you have nothing left to say. We’ve beaten them again and again and again, what’s the next excuse, they don’t have any more? We just have a lot better player base now that understand the process and understand and respect the winners. What if you lose this season? Dailight: It’ll sting. You get in a car and drive how many hours to get here, and I’ve gotten so accustomed to saying well, it’s going to be a winning drive home, put the music up to 50 and I’m just losing it right? It’d be somber, but I think it kind of excites me because it means everybody else has gotten a bit better. I’m not afraid of it and I don’t think we’re going to lose, as long as we put our best effort forward, I think we’re going to win. What would another victory for Chicago mean for you? Inkd: It would just be another day at the office. Chicago coming in, cleaning house and getting another win. I’m already looking ahead to season five, not only because the ‘Chicago Fource’ would make a great pun when we win four times, but we’re always holding the hammer and having the opportunity to drop that hammer like a mic for season five, would be pretty great. For more information on Super League, you can check out their website. You’ll find full roster details, blog posts by pro players and a link to the Twitch stream to watch the games live.